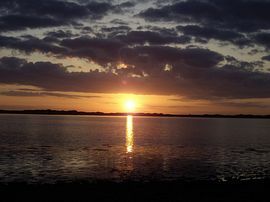 Muriau Park is situated close to the Royal town of Caernarfon, with its beautifully preserved medieval castle and harbour. 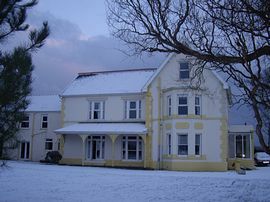 Muriau Park Guest House is a Bed and Breakfast establishment situated in close proximity to the splendid beaches of the coast of Gwynedd and also the impressive mountains of Snowdonia. The bridges crossing the Menai Straits to the Isle of Anglesey are also within a few miles opening up a vast area of varied scenery for exploration. With six good sized bedrooms, four of which being en-suite, and the remaining two having dedicated bathrooms adjacent, Muriau Park provides comfortable accommodation whether for a short or longer stay. Four of the rooms have a double bed/king size bed and the remaining two are twins. There is a local pub within walking distance. 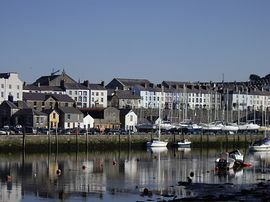 The town of Caernarfon is situated less than two miles away and with its famous castle and medieval town walls, it is itself a noted tourist attraction. The redevelopment of the marina and Victoria Dock together with the newly opened theatre attraction, The Gallery has added another dimension to the town. Seasons Open: Spring, Summer, Winter. Special discount for long stay. Muriau Park Guest House' convenient location makes it an excellent base of operations for many exciting activities in North Wales. 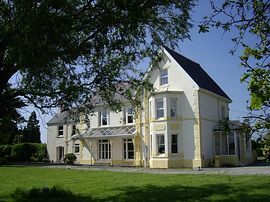 The Guest House sits in its own sizeable grounds adjacent to the A487 Caernarfon to Pwllheli Road and has its own large off road parking area. The map below will give you a more detailed indication of where we are located. 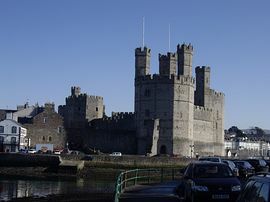 From Caernarfon take the A487 road for Bontnewydd/Pwllheli. Pass Tesco on right, straight over roundabout and up-hill. Muriau Park is on the right (yellow and cream building).